Is your Ocoee, FL kitchen or bathroom out of date? Are you interested in a new look and feel for your home that makes it seem like new? Look no further than The Homestyles Group for all your Ocoee bathroom remodeling and Ocoee kitchen remodeling needs! 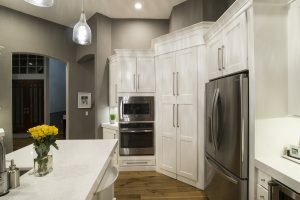 With years of experience and an expert and professional staff at hand, we have the team and know-how to accomplish the kitchen, bathroom or home remodel of your dreams! Not only will you feel like you’re living in a new home with an Ocoee bathroom & kitchen remodel, but it also will help to increase the value of your property should you be looking to sell it at some point in the future. With affordable prices and endless remodeling possibilities, The Homestyles Group is your one-stop-shop for whole or partial home renovations in Ocoee, FL. 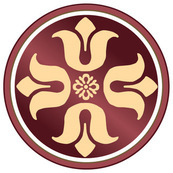 We are also known as an Orlando custom cabinetry provider. Remodeling your entire Ocoee home can be overwhelming and inconvenient if done all at once. For this reason, we also offer Ocoee partial home renovations. To alleviate the burden of having so much going on in your home at once, many of our valued customers opt for remodeling portions of their homes at a time. This can include an Ocoee bathroom remodel followed by an Ocoee kitchen remodel each on their own timeframe. Our goal at The Homestyles Group is to provide you with the top of the line Orlando area home remodels with fast turnarounds and minimal inconvenience to you and your family. We all spend a considerable amount of time in our bathrooms bathing, getting ready to go out, getting ready for bed and brushing our teeth. It should come as no surprise that most individuals want this part of their home to be up to date and with decor and bathroom appliances that create a relaxed and enjoyable atmosphere. Because of this, many people opt for Ocoee, FL bathroom renovations when this crucial room in their house becomes out of date or an area they no longer enjoy. 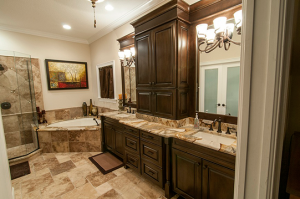 With a team of in-house Ocoee bathroom remodeling experts, we have the experience needed to make your dreams come true. Don’t settle for anything less than perfect when it comes to your bathroom renovation needs – hire The Homestyles Group today! We even offer free estimates! When the look, feel and aesthetics of your kitchen, bathroom or home, in general, become less than bearable, the expert design and construction team at The Homestyles Group are here to make your dreams a reality. Whether it be an Ocoee partial home renovation, full home renovation, Ocoee bathroom remodel or Ocoee kitchen remodel, we are standing by to provide you with an affordable and time sensitive plan. Contact us today for a free estimate and discover the potential that your home has!